Katherine McNamara and Dominic Sherwood as Clary and Jace. . HD Wallpaper and background images in the Shadowhunters TV Show club tagged: photo shadowhunters the mortal instruments katherine mcnamara clary fray dominic sherwood jace wayland. 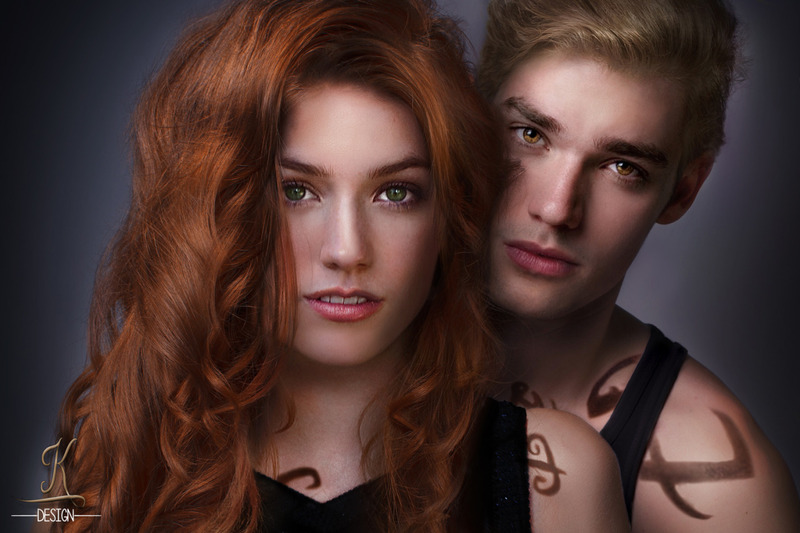 This Shadowhunters TV Show fan art contains retrato, headshot, close up, and closeup. There might also be atratividade, recurso, gostosura, atração, hotness, atractividade, apelação, quentão, collant, unitard, terno do corpo, terno do gato, leotard, and corpo terno.